One of the simplest ways to make any of my designs a little extra special is to add a date, name or other simple element that adds just the right touch. 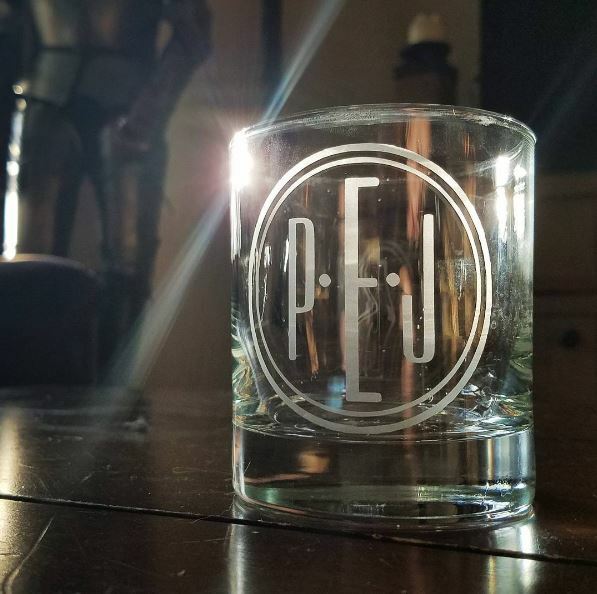 Have a particular design you’re looking for, but on a different style glass? No problem! I’m also happy to work with you if you’ve got specific items you’d like etched. 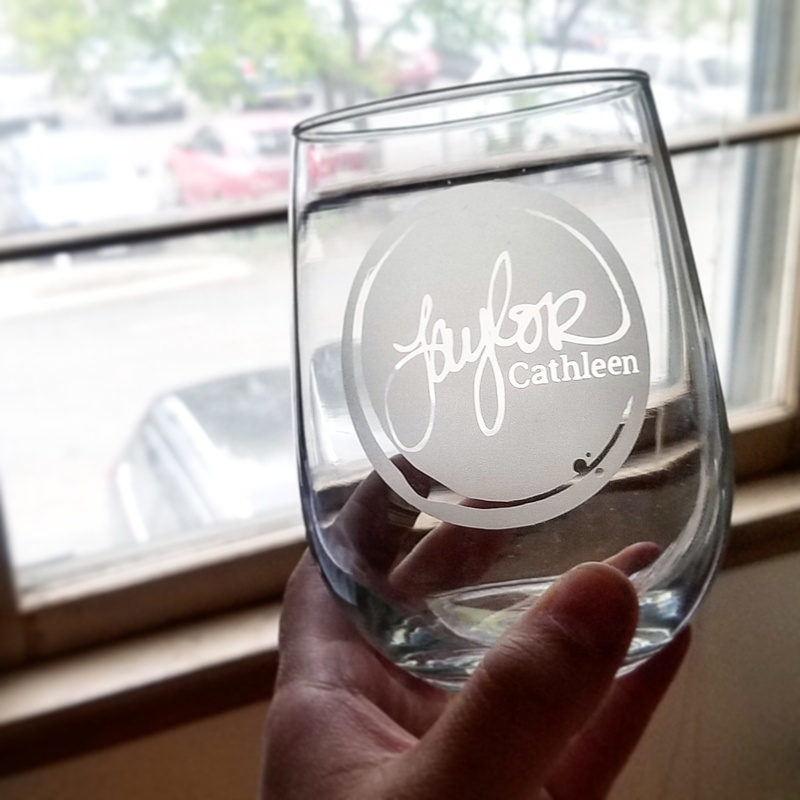 Whether it’s an item off of a couple’s wedding registry, or an item unique to the person using it – I’ve etched everything from glassware, to mirrors, picture frames, growlers and more. I am also happy to work on custom designs, whether you have a set idea in mind, or we work together to come up with something truly unique. I’m happy to accommodate custom requests for particular skylines, countries, or lake silhouettes. A few examples of these kinds of projects include: personalized monograms, travel-themed designs, inspirational quotes, or commemorating weddings, births, or graduations. I also enjoy collaborating with other artists! Got a logo? Let’s put it on a glass! Got a big company-sponsored event coming up that you need some unique, stand-out swag for? Gotchya covered! Let me help make your business stand out. For large orders I also offer wholesale pricing. Please contact me for more information. Gorgeous mugs! I needed my order quickly and Taylor was very kind to help get them in the mail to me as quickly as she could, and in time for the gift! Very high quality glass and has a good hand feel. Great shop. Highly recommend. Taylor does amazing work! I was so excited to open the package when it arrived, and what was inside did not disappoint. Each piece was stunning. I will definitely purchase from her shop again. So beautiful! The quality is top notch! I love the modern calligraphy style. The etching is superb and this way it will hold up to hand washing, and can be used again! I cannot wait to use these with my bridesmaids on my wedding day! Thank you! Love them! Taylor was professional and fast! We had a few orders and she was so awesome at getting them done since we were on a deadline. We will be working with her in the future!